These are cars that can be placed in that file labelled 'but what do they look like?' 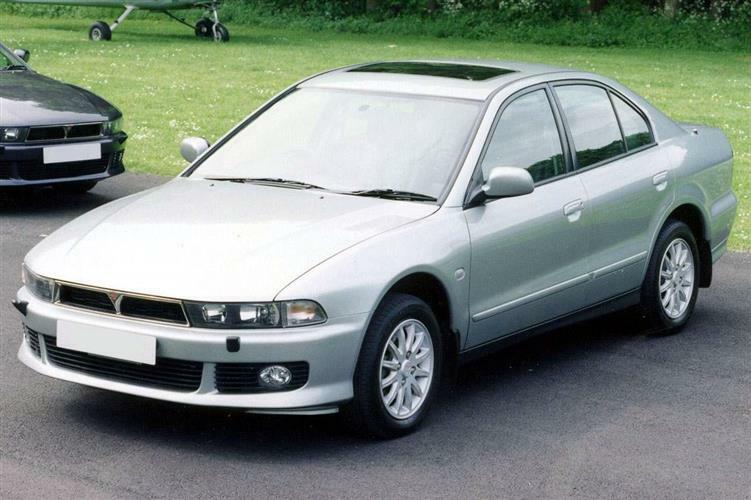 That's a shame, as Mitsubishi's Galant, in every guise so far produced, has proved to be a capable design deserving of far more success than was actually achieved. Recently lifted import restrictions held back sales, of course, but helped ensure stronger residual values than more common rivals. Restrained styling didn't help much either, because the Galant had to battle far more charismatic European competitors. A new model, released in early 1997, at last gained distinctive styling and the UK importer reckons this plus price cuts announced at the end of 1999 have changed the Galant's image from forgettable to desirable. The latest shape is on the used market in relatively small numbers but sufficient to give some much-needed zest to Mitsubishi's reliable and long-lasting image. The first of the models we're looking at is the sixth generation Galant which first appeared in June 1988, not long after its Japanese release. The most interesting car in the range was the 2000 GTi 16v which was well equipped and boasted a 140bhp 16-valve engine. It was accompanied by more humble versions, including a 2.0-litre GLSi and 1.8-litre GLS. There was also a turbo diesel called the GLS TD with a 1.8-litre engine but that was sold for less than two years. The five-door hatchback arrived in May 1989 in 2.0-litre GLSi form and was called the Coupe. It was joined in April 1990 by an all-singing, all-dancing four-wheel drive, four-wheel steer GTi Coupe. This was the era of the Japanese showing off their clever engineering, remember. (Would that the technology had lived up to the promises made; it usually only acted as a gimmick, sadly.) Having said that, the Galant did win the RAC Rally in this form... The range received a face-lift in August 1990 with new rear lamps and new alloy wheels for the GTis. The wheels were changed again a year later at the time of the final minor face-lift. These cars arrived in October 1991 and can be identified by a two-piece chrome grille. The seventh-generation cars were released in February 1993. The GTi died and was replaced by the 2000 24v V6. The rest of the range again started with a 1.8-litre saloon, joined now by a five-door Coupe. There were also two-litre versions of both but only one trim level, GLSi. The introduction of the more compact Carisma in 1996 thinned the Galant range and, by the end of that year, only the base V6 and the 2.0-litre GLSi remained. 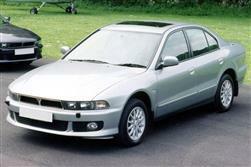 In March 1997, Mitsubishi proudly unveiled what was then Japan's latest Car of the Year, the eighth generation Galant. The styling was somewhat less than ground breaking but, in Japan, the range did at least boast revolutionary new Gasoline Direct Injection petrol engines (GDI). Problems with European fuel quality prevented these from being exported, however, so a unique marketing opportunity was missed until 1999. The 2.0-litre four-cylinder and 2.5-litre V6 engines that did appear provided the Galant saloon and estates with good performance but prices between £17,450 and £21,800 meant the new cars were up against strong prestige competition. Only a relative small number are on the used market. In summer 1999, 'official' imports of turbocharged VR4 Galants began but these Japanese market specification cars (modified for the UK on arrival) are extremely rare. A few months later, the range was revised with lower prices and minor styling tweaks plus the addition of a 2.4-litre GDI petrol engine and a V6 Sport model in place of the GLSi. 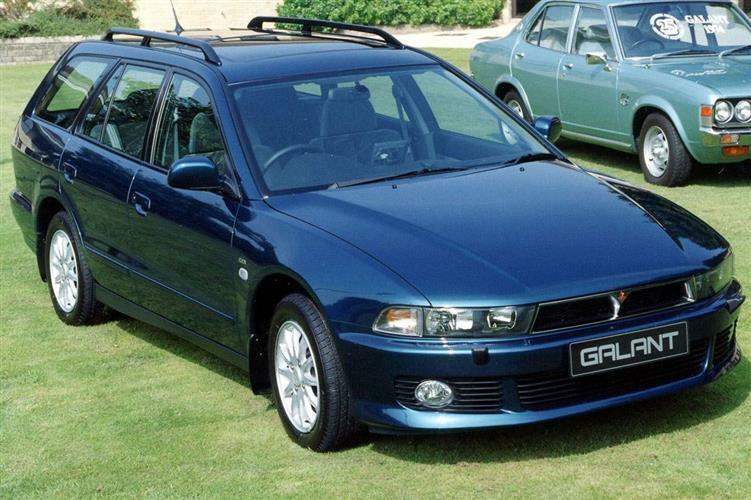 The Galant ceased to be towards the end of 2003. With all three generations, an understated look, which is good for some and not good enough for others. If you want to be noticed, you're better off looking elsewhere. Even the performance models are hardly attention grabbers in the way, say, a Sierra Sapphire Cosworth once was. What you will get is legendary reliability, great build-quality, lots of equipment and a comfortable family car, whatever the model. Few were sold as rep transport or rentals so the majority come from private owners or careful company executives. This is a bit of a difficult one as there's not too much to worry about which is excellent news for you. Do be careful of the technology on some of the higher-spec cars, particularly older ones. A four-wheel drive system with problems is not a pretty sight - the transmission is strong but it will have suffered if abused. Make all the obvious checks on any car for oil leaks and corrosion damage. On the inside, don't forget to check the convenience features like cruise control, electric sunroof and air conditioning, if fitted. With the turbo models - the rare diesels and even more rare VR4 V6s - check for excessive smoke on hard acceleration - it could be a sign of over-enthusiastic use and poor maintenance leading to worn turbocharger seals. Generally, though, these engines are trouble-free if the oil is changed regularly. The 1993-1997 models sometimes have juddery or snatchy brakes and the occasional electronic gremlin makes starting difficult. The complex V6s, in particular, are best bought with a complete service history. (approx. - based on a 1993 Galant 1.8 - inc Vat) An exhaust system is about £550 with catalyst. A clutch assembly will be around £100 and an alternator should be close to £120. Tyres are between £75 and £100. This varies from uninspiring (diesels, 1.8s) to fun (16v two-litre, 24v V6 and twin-turbo VR4). If you want a comfortable family car that's not going to give any trouble, a Galant should be your cup of tea. You won't buy one to bring out the Jenson Button in you most Galants are bought by people who've owned other three-diamond cars and want to stick with the brand's reliable name. Who knows, you may end up aloyal Mitsubishi owner. An honest car. You can see you're getting a thoroughly capable and reliable family saloon, hatchback or estate. It's one that will last, perhaps not forever, but at least long enough to give you years of diamond service.